I have just a few quick things. First, 2 Dogs Pub, in the First Ave Mini-Mall, has extended our dine-out event through Saturday, Dec 1st. Stop in for brunch or have an easy lunch or dinner. Be sure to tell your server you are there for the City High band. Next Thursday, Dec 6th, we will have our last BACH meeting before the winter break. We will meet in the City High band room at 7:00 pm to discuss upcoming events. Our main focus will be on Jazz Showcase. If you are interested in joining the conversation, please come on over. We still need a food coordinator for Jazz Showcase. If you are interested and willing to help, please contact me, go to the SignUpGenius (Jazz Showcase), or come to the BACH meeting next Thursday. BACH is now on Twitter at @chsbach! Follow us to stay up-to-date. I have a few reminders for upcoming band events. First, Wednesday, October 31st (next Wednesday) is the deadline for the Band Apparel Order. All orders and payments must be turned into Mary Mahaffa in Music Office by Wednesday! The apparel options and order form are attached. Next, 2 Dogs Pub on 1st Ave will donate 15% of the total bill to patrons who mention they are there to support the City High band the entire month of November! Tell everyone you know to tell their server they are there to support the City High band! On the subject of eating, Tuesday, November 13th is Dine Out for Music at Wildwood Smokehouse and Saloon. Wildwood will donate 10% of the night's total sales (excluding alcohol) to the City High band program. We are still looking for a food coordinator (or 2) for Jazz Showcase. This person organizes the food for the students between shows and the snacks for the audience. The previous coordinator made detailed notes and I know would be happy to mentor whoever takes over for her. If you are willing to help out with this, contact me or Jennifer Cremers. Lastly, there are only 2 parking lot cleanups left and students are required to do 1 of these. If you are not going to be out of town for Thanksgiving, please consider coming to the cleanup on November 24th. This year BACH is offering an expanded "City High Band" apparel offering in time for holiday gift giving! If you're interested, please check out the attached product sheets and order form, and return your paid order form to Mary Mahaffa in the music office NO LATER THAN OCTOBER 31, which will help us ensure delivery the last week in November. Items include some favorites seen in previous orders, like the tie-dye long sleeve t-shirt and 1/4 zip fleece, and new items like stadium style t-shirts, flannel pants, two new hoodie options, and a lunch cooler. There is a wide variety of items and prices. The product flyer and order form are attached and available tonight at Bates Field Follies or in the band hallway at City High. It has been a busy marching season and especially the last couple of weeks and I need to take a minute to step back and appreciate all of the work that has been done. There have been some last minute changes that have been taken in stride and seamlessly resolved. Thanks to Shelley Rublaitus and Freyja Stoltz for all their work with Heck Week. They did a lot of work before the season even started to get our sponsors and provide food and water to keep the students fed and hydrated. This is a big job that is so important to getting the band off on the right foot. Thank you to Lynn Holmes and Robin Kopelman and everyone who worked on the End-of-Marching-Season party after the cancelled final home game performance. Everyone pulled together to put on an epic party even with the start time being moved up 2 hours. Thanks to Melissa Schnoebelen and the food preppers who put together the dinners for the marching band before they left to go to the Clinton Competition. It was a great last minute and by no means small effort to feed 150 hungry teenagers. Thank you to Theresa Murphy-Lewis and all those who helped with the Bates Field Follies reception last night. The gym looked great and no one left without cookies. We still have a few more parking lot clean-ups but thanks to David Weiss, Theresa Lewis, Kim Cannon, Anita Shuckert and everyone else who helps organize and the Sunday morning activities. A HUGE THANK YOU to Ute Muh and her uniform crew for all of the effort they put in each time the marching band steps out onto the field. They had the students out of their uniforms and up to the reception in record time last night so they could enjoy their night. With one more performance left in the marching season, I know I speak for the entire Leadership Team when I say thank you to all of those who have volunteered to help out BACH and the marching band this year. There were many new faces joining our ranks. We appreciate every one one of you, new and experienced, and look forward to continuing to with you as we move into concert season and beyond. Band family t-shirts were distributed last Friday before the City High home game. It was great to so much support in the stands! All of the remaining t-shirts are in the Music Office. If you were not able to pick up your t-shirt, stop in (or have your student stop in) and pick it up from Mary. Any t-shirts that have not yet been paid for need to be taken care of by September 21st. Unpaid t-shirts will then be offered for resale in order to recoup the money we paid for the shirts. We still need help with uniform hand-out/take-in for the remaining home games, Bates Field Follies, and the Clinton marching competition. You do not need to be an expert to help with this and will still be able to watch the performances. If you can help with any of these events please sign up! Sunday is another parking lot clean up. Parking and Transportation has asked that the trash bins be filled before bags. They also ask that we consolidate bags so it is easier for them to tell which lots are finished. Also, if your student signs up for a drive-to lot, please make sure they have a ride there. It doesn't do anyone any good if they are arriving at the lot after everyone else has already done the work. Finally, next Thursday, Sept. 20th is the first BACH meeting. It will be held in the City high band room at 7:00 pm and usually last about an hour. We will be discussing Bates Field Follies, the End-of-Marching-Season party, and pretty much anything marching band related. Please join us. The City High home game on Sept. 7th against Ames High School will be a big one. The eighth graders from Southeast Junior High will join us for pregame and the Iowa Hawkeye marching band will perform at halftime. We need a few volunteers to help out before the game. Dr. McReynolds is reserving the faculty lot (in front of the music wing) for eighth grade parents and Hawkeye marching band members. We need a couple people to monitor the entrance to this lot. With Southeast having a new director this year, we need one or two people to help him direct the eighth to their room and get them to Bates Field for pregame. Sunday is our first parking lot clean up and we still could use some volunteers to make sure the lots are getting cleaned and notify the coordinators when they are finished. We also need someone to assist Kim Cannon with the refreshment. This involves helping organize the donut holes, fruit, and beverages for after clean-up. There were a few questions about how parking lot clean up works so here is a FAQ. 1. Is parent participation voluntary? While students are required to participate in a minimum of 4 cleanups and are required to attend either the November 11th or 24th clean-up, parent participation is voluntary. However, when CHS band got this contract many years ago, the presumption was that band parents are expected to participate whenever possible. Each cleanup session requires at least 20-25 parents to be distributed among the 10-12 most heavily soiled parking lots. Parents are important for student safety, efficiency and thoroughness; there is no substitute for the presence of parents in every lot where students are cleaning. 2. When are the cleanups? There are seven home games this year and we clean on the morning following: Sundays: Sept. 2, 9, 16, 23; Oct. 21; Nov. 11. Saturday: Nov. 24. Please be at the staging area by 7:00 am each of these dates. 3. Where are the cleanups? Students should be at the staging area at the Center for Disabilities & Development front entrance to sign in and receive initial parking lot assignments and cleaning supplies. The Coordinators will provide detailed maps and directions to all 15 parking lots; many of the lots are within walking distance of the staging area. Although there is some inherent risk, we believe that parental supervision, common sense and use of the University-issued cleaning supplies keep risk to a minimum. The University provides gloves, brooms, shovels and large garbage bags. All garbage can be cleared safely with the tools provided; for example, broken glass is to be cleaned up with a broom and shovel. If there is ever a question about attempting to clear garbage, a parent should be consulted. 5. What if my student is also an athlete and is required to do a sports (Stadium) cleanup? Most of the athletes who clean up Kinnick Stadium start at 7:30 am. Band students who participate in sports cleanups are still required to report to the marching band staging area at 7:00 am and participate in clean-up (usually Kinnick Parking Lot) until they go inside the stadium at ~7:30 for sports cleanup. They are then required to check back with parking lot coordinators when they get done with the sports cleanup (yes, band parking lot cleanups start earlier and go later than sports cleanups. 5. 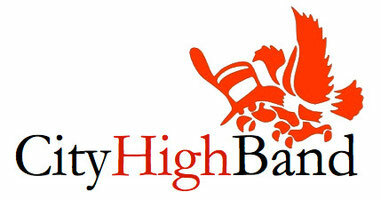 This is the single biggest fund-raiser for the City High Band Program and is an exclusive franchise that CHS Band owns. We do not split the proceeds ($2700 per cleanup!!) with any other school or City High group. 4. You can “adopt” a parking Lot! Yes, it’s true: any one of the lots can be “adopted” by anyone to make sure it gets taken care of! As you get to know and love your parking lot, it gets easier and more fun to clean. Talk to the coordinators for more information; there’s LOTS to love! 2. You’ll be there anyway! Unless your student has a license, you’ll be up and out the door anyway and many hands make light work. We (and the band students) would love to see you for as many cleanups as you can attend. 1. Finally, and most important, it’s the right thing to do for our students and our school. Because it’s great to be a Little Hawk Band Parent! See you there! Let me know if there are any more questions.